is self taught on the guitar primarily, but studied with Frank Dawson at Columbia College Chicago. She has produced a live, acoustic CD featuring six originals and two blues cover songs. She also plays bass, djembe and harmonica. She plays solo, duo, or with a full band! 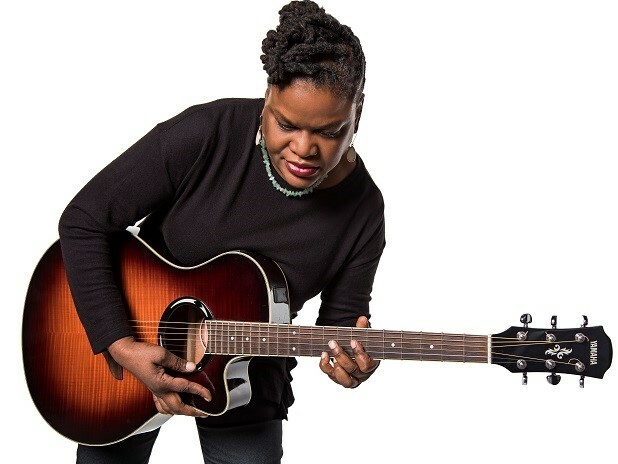 In addition to playing around Chicagoland at places such as Buddy Guy’s Legends, she travels the country performing at wineries, festivals and private events. She covers a huge range of genres, from soft rock/folk to country blues to sultry jazz renditions. Meisha loves touring and sharing her unique style of music while using her vocal skills to connect with people of all walks of life in an uplifting way. Contact Meisha to learn more! Copyright © 2019 | Design by National Media Services, Inc.